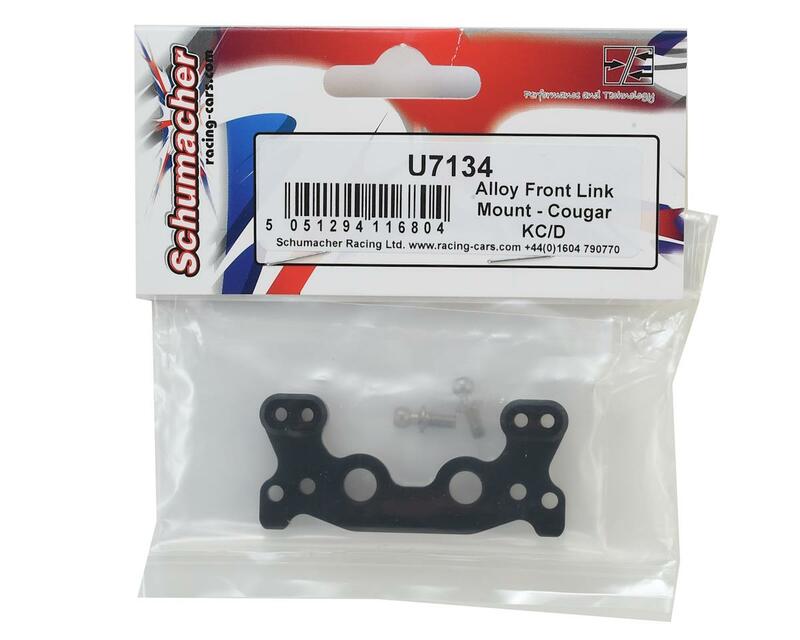 Schumacher Cougar KC/KD Alloy Front Link Mount. 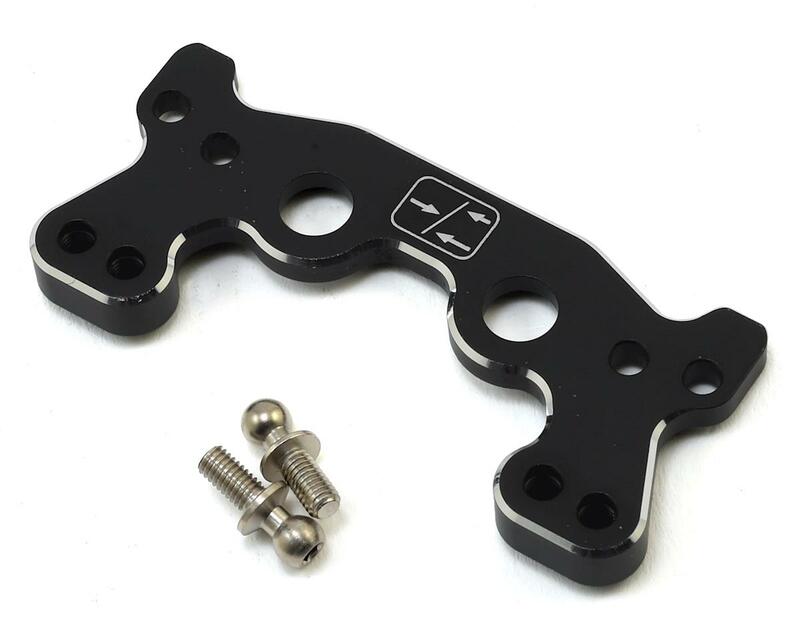 This is the optional machined aluminum link mount, and is compatible with the Cougar KC and KD models. Package includes one link mount and two ball studs.